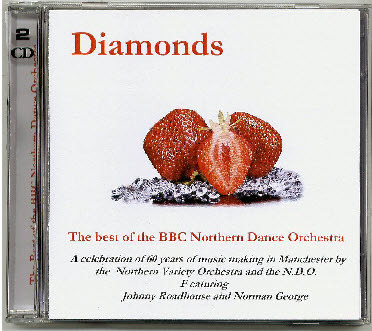 This is a double CD of the NDO containing many previously unreleased numbers by the band. It has been carefully compiled from the only known master tapes and other sources.- as you will have seen from the other pages on the site, the BBC recorded many sessions with the NDO as inserts to their Radio 2 programmes in the 60’s and 70’s, but these were played twice and then wiped - so it was thought that precious little in the way of recordings of the band could exist. After a long and exhaustive hunt for numbers by the band, I have heard all the “broadcast quality” material available (and some that sadly is not ! ), which reflects the band for what it was - arguably the best Big Band the BBC ever produced. There will initially only be 250 copies of this limited edition double CD produced - it will only be sold through this web site, - cheque in the UK, or paypal for overseas orders. No payment is needed to reserve your copy. It is strictly on a “ first come, first served ” basis - DON’T DELAY ! 15 - WHAT IS THIS THING CALLED LOVE?